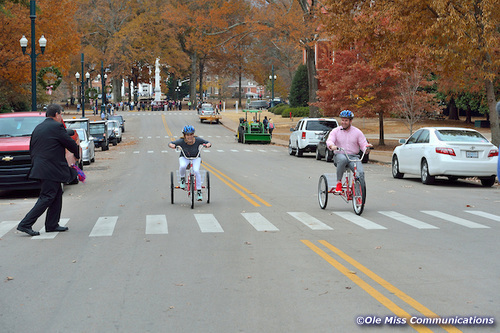 Introducing a pilot program for departmental bikes and adult trikes. 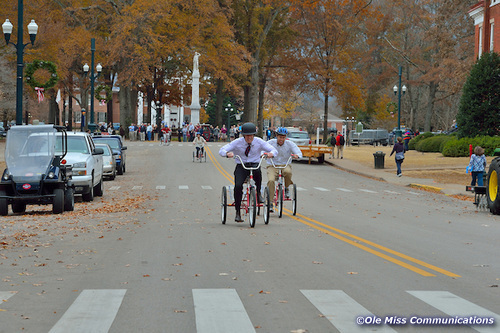 Aside from walking, bicycles are a healthier way to move about the campus.So hang up the golf cart keys and hop on a bike to get to your next meeting or make a delivery. 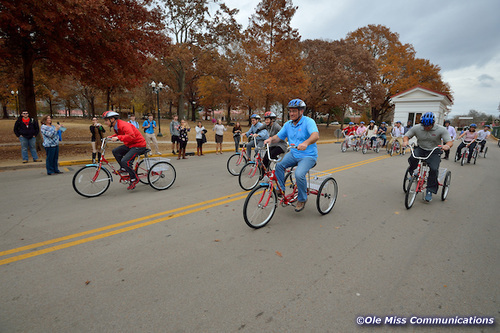 The bike order is expected to arrive in early January while the adult trikes are ready and will be distributed the week of December 15th. The quantity of bikes/trikes is limited as we pilot the program, but don’t give up. We hope to continue adding to our fleet. 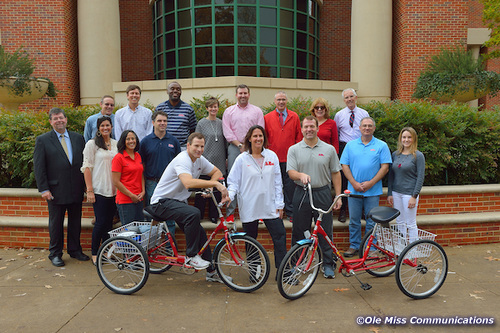 If you are interested in obtaining a bike for your department or have questions, please contact Andrea Jekabsons at (662) 915-1530 or andreamj@olemiss.edu. 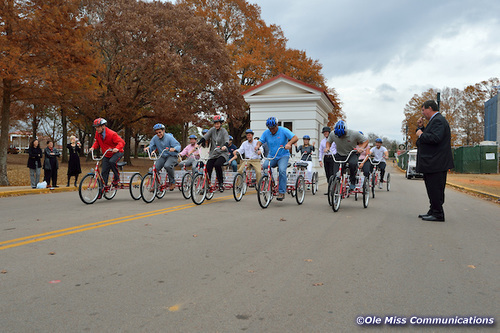 To launch the pilot program, RebelWell hosted a relay trike race December 1, 2014. 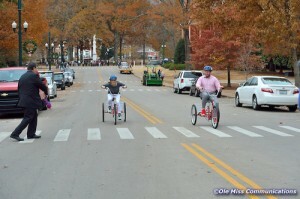 Team: Athletics took home the 1st place bragging rights. Thanks to all our administration and faculty who participated, Ross Bjork, Lynette Johnson and Shannon Singletary on your 1st place finish and our staff, faculty and students who came out to cheer. Fun way to start the week! Watch the Trike Race video. ***The Health, Exercise Science and Recreation Management Department would like to congratulate their very own Dr. Garner, Interim Chair, for his great effort and participation in the race.